I had the wonderful opportunity of meeting Dr. Michael Burgdorf recently and speaking with him at length. 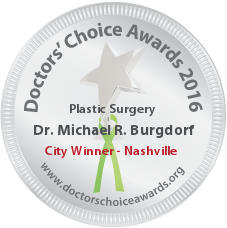 If you’re looking for a gifted plastic surgeon with a professional and friendly staff, make an appointment to see Dr. Burgdorf. He is one of the best plastic surgeons in this area of the country. Patients travel great distances for his talent and expertise. I highly recommend him and his office! Dr. Burgdorf is very professional and passionate about his work. I am impressed with his level of knowledge and his bedside manner. I think you will be too. Doctor Michael Burgdorf is my go-to Surgeon for all my and my patients plastic surgery needs. He’s the best! Burgdorf is great! He is my choice of plastic surgeons for all my needs. 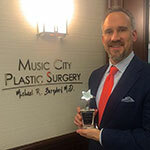 I highly recommend Dr. Michael Burgdorf and the services at Music City Plastic Surgery. He and his staff run a very professional, yet family like practice. As a practicing physician, I know many Board Certified Plastic Surgeons, both personally and professionally. 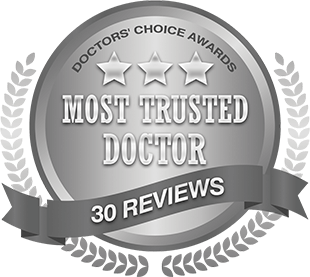 Without hesitation, we selected Dr. Burgdorf for our family’s medical needs. His skill set, demeanor, execution, follow through and follow up are flawless. As an added bonus he played football at the University of Notre Dame. Go Irish! I have had the opportunity to get to know Dr. Burgdorf as a colleague and as my wife’s physician. Since my practice focuses on cosmetic facial plastic surgery, I have needed a general plastic surgeon colleague to refer my patients who need other cosmetic procedures below the neck. Dr. Burgdorf has provided excellent care to my patients, when needed. In addition, he has performed surgery on my wife. Our experience with him during her consultation, procedure, and postoperative care was exemplary. He is very professional in his patient interactions, spends time with his patients and assures that all questions are answered, and the results that he achieves are exceptional, a testament to his skill as a surgeon. I will continue to refer patients to him without hesitation. I give him my highest recommendation. I highly recommend Dr. Burgdorf to my patients and family members. Not only is he a talented and accomplished surgeon but he is also a kind and caring person. I am very excited for him to win this award! Dr. Burgdorf has impressed me from the minute we first met. He is a skilled surgeon who is open, honest and has integrity. I just wish he practiced here in my city! I’ve worked with and learned from a lot of surgical specialists in my care for children with cleft lip and palate. Although my time sharing with and learning from Dr. Burgdorf has been outside of the operating room, I wish more doctors had the enthusiasm and humble admiration for the patients we serve and the skills we practice. Dr. Burgdorf is a specialist we can all emulate in our quest to do what is best for our patients. It is an honor to call him a friend and colleague. Dr. Mike Burgdorf is a kind and caring physician. He provides nothing less than the best care for his patients. Knowing him since medical school it is great to see the person and doctor he has become. Dr. Mike Burgdorf is that rare combination: a talented surgeon who can also communicate well with his patients. I have known Dr. Burgdorf since he started medical school which is now over 15 years. He is an exceptional physician and surgeon. He has always been extremely professional and caring. I trust him with all my patients and my family. As a bonus, he has a great personality and his patients love him! 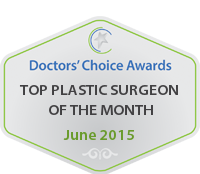 Dr. Burgdorf is a truly special talent in the field of plastic surgery. Mike is a great surgeon with a bed side manner to match. I have known Dr. Burgdorf for over fifteen years and trust him with my patients as he exhibits everything one desires in a plastic surgeon: exceptional surgical skills, a warm and caring bedside manner, and wonderful communication skills. Dr. Burgdorf is a very meticulous and exceptional physician. He has a tremendous work ethic and morals to match. I would trust my family with his care. Dr. Mike Burgdorf is a gifted surgeon, a master communicator, and a respected member of our community, as well as a good friend. I trust him with my patients and my family. Fantastic physician!! I met Dr. Burgdorf shortly after Hurricane Katrina forced him from New Orleans. He is a wise and patient doctor who enjoys helping his patients reach their goals. His surgical acumen is impressive but it is over shadowed by his personality. No one smiles more than Mike and I imagine that is one of the reasons his patients adore him. As a fellow plastic and reconstructive surgeon, I have had the pleasure of working directly with Dr. Burgdorf for years and can testify to his excellent surgical judgement and outstanding skill. He is a kind and compassionate physician with excellent bedside manner and interpersonal skills. This allows him to build trusting relationships with his patients, to listen carefully to their concerns, and to fulfill their expectations. I wholeheartedly recommend Dr. Burgdorf for this much deserved award! I have known Dr Burdorf for more than 13 years. He is an excellent surgeon, very talented with exemplary bedside manners. He can operate on me or my family anytime. He really deserves this award and many more. Dr. Michael R. Burgdorf, MD, MPH is an exceptional plastic surgeon that truly delivers an unparalleled plastic surgery experience at his Nashville plastic surgery practice. His focus on developing a relationship with his patients is unmatched in his field and his patients rave about him. While his focus has been recently on the young mother population, with his upcoming book “The Mommy Makeover: Restoring Your Body After Childbirth”, he is gifted in many areas of cosmetic plastic surgery. Dr. Burgdorf’s excellent results match his excellent bedside manner and I enthusiastically recommend Dr. Burgdorf to all of my patients including my own family members! I have had the honor to know and work with Dr. Michael Burgdorf over the past two years. His patients continually tell me what a kind and compassionate surgeon he is. Not only is he an outstanding plastic surgeon, but he takes the time to listen to his patients’ concerns. Dr. Burgdorf is always my referral for plastic surgery for my patients, friends, and family. Dr. Michael Burgdorf is an incredibly skilled surgeon. He is detailed, talented and artful in his work. He brings a genuine compassion to the care of his patients. He is a master surgeon with few peers. I have never had one problem with any patient that I have sent Dr. Burgdorf! My patients rave about his caring bedside manner, amazing skill and his great level of communication with expectations at every point in the care of the patient. I did not believe this until I met him personally and now understand why my patient’s experiences have been so good. The toughest question to any doctor is to ask if they would send family- and he has my faith and confidence to care for any of my family members at any time!! I have known Dr Burgdorf for years. He is an excellent plastic surgeon not only because of his amazing technical ability, but also because he keeps his patients wishes and privacy at the forefront. Dr. Michael Burgdorf is caring, compassionate, and thorough. He is an excellent plastic surgeon who really takes the time to LISTEN to his patients, fully understanding their concerns and desires, and takes that into account during surgery. He offers his patients an excellent plastic surgery experience and I give him my highest recommendation. Dr. Burgdorf is an outstanding plastic surgeon. He is down to earth, well trained, and offers his patients a great experience. I have had the opportunity to work with Dr. Burgdorf and to see his patient’s post-operatively. He is a compassionate physician who goes above and beyond to ensure that his patient’s receive the highest level of care available. Dr. Burgdorf’s patient’s are genuinely pleased and complimentary of his bedside manner and his willingness to listen to them. Dr. Burgdorf consistently produces outstanding results; he is one of the most respected Plastic Surgeons in the country by both his patients and his peers. 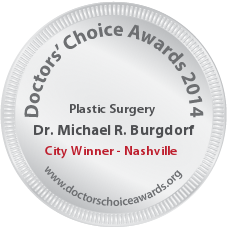 Dr. Burgdorf is a very talented and compassionate Plastic Surgeon. I have known him many years: he is practices with the highest level of professionalism and his patient\’s feel that he always does an outstanding job.